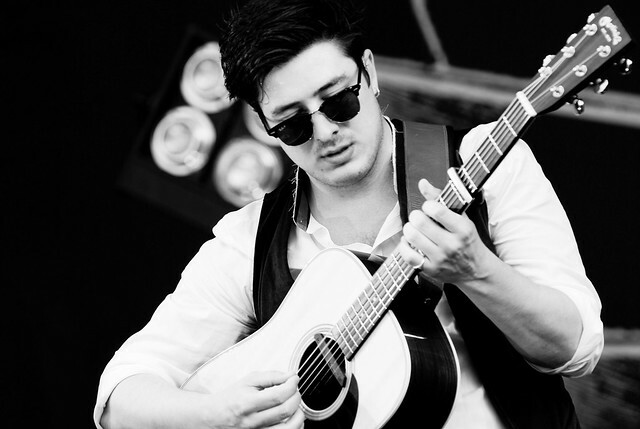 According to Marcus Mumford, there was no shortage of content for them that could be included in the upcoming album of his band. Mumford and Sons was founded by the 28-year-old singer in 2007, but in 2013, the group went on hiatus. Three months later, it reunited for working on their third album titled Wilder Mind, which has a release date of May. A new single called Believe was released by the group yesterday, which includes Ted Dwane, Winston Marshall and Ben Lovett, along with Marcus Mumford. The song was aimed to give their fans a hint about their latest electric vibe. The new lyrics of the band have formed a mixture of their renowned folk sound with something more touching, making them more heartfelt. Marcus provided an explanation about this. He was asked if certain members of the band had had a painful time in recording the forthcoming tracks. In reply, Marcus said that the songs were about the year-long experience of four individuals so they had plenty of stuff and content they could incorporate into songs. He said that some great lyrics had been written. In his opinion, the competition is not between the writers; it is between songs. If the lyrics are good, the song will be in, regardless of who wrote it. He asserted that singing lyrics written by someone else could also prove to be a relishing, enjoyable and exciting experience that he wasn’t likely to forget. Doing so gave the band members the opportunity to empathize with each other, drawing them close so they didn't have to ask the meaning of certain lines. During the break taken by the group, they picked up electrics and left behind their acoustic instruments. Instead of feeling like a departure, the change felt completely natural and right to the band members.